Obviously feeling a bit bitter about his team departing the World Cup earlier than Argentina would like, it seems Maradona is now entertaining himself in another way. 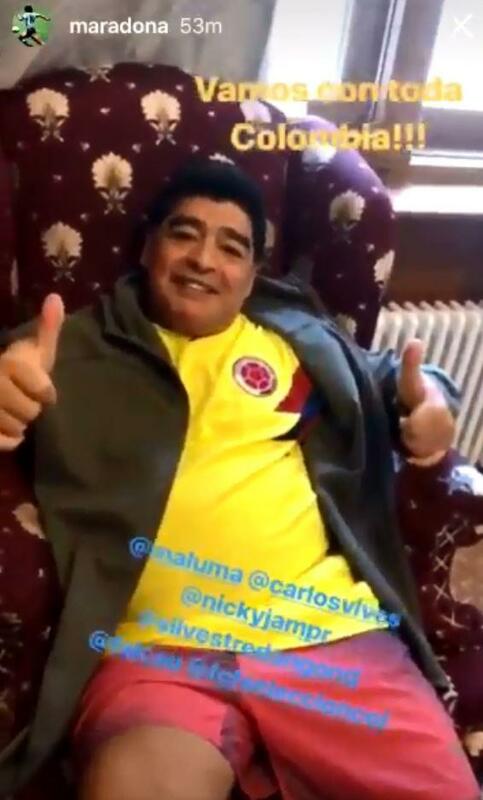 Taking to Instagram, the footballing legend posted a shot of himself sitting in an armchair wearing Colombia’s distinct, yellow shirt while giving two thumbs up to the camera. I struggle to believe he has nothing better to do than troll the England team. 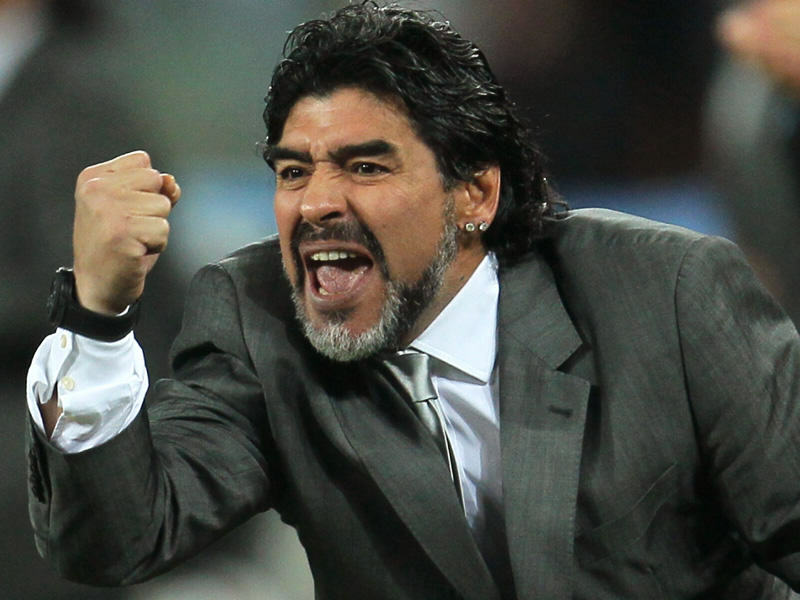 Then again, their World Cup campaign is (currently) still going, unlike Argentina. Captioning the photo, Maradona wrote, ‘Vamos con toda Colombia’, which translates to ‘We are all Colombia’. A pretty obvious dig at England ahead of their match against Colombia tonight (July 3). Argentina were knocked out of the World Cup just the other day, after an incredible match against France in which seven goals were scored in total. After coming back from 2-1 down, Argentina were eventually knocked out after losing 4-3, while on the same day, Uruguay clinched a victory over Portugal by holding on to their 2-1 lead for the last half hour of the match. France’s 4-3 victory has been described by some as ‘the best game of the tournament’. However, for wonder-boy Lionel Messi, he failed to bag a single goal in the seven-goal thriller, making this his fourth World Cup failure. Despite putting three past Hugo Lloris, the national side – cheered on by Maradona in the stands – struggled to match the excellent performance of the French. It begs the question as to what Messi’s international plans will be in the coming years. We’ll be in good shape when we get there because we’re still growing. We had to go through something that we didn’t expect or deserve, because we had earlier matches against Venezuela and Peru that we could have won easily. If we had, then we wouldn’t have had to go through what we did at the end. We’ve had four competitive matches with a new coach, but the national team’s going to change now that the Ecuador game’s behind us. It’s going to grow and it’s going to get rid of all the tension and fear it felt because of that match and because of the risk of not achieving our objective. The national team’s going to change a lot. At the last World Cup in Brazil (2014), Argentina came agonisingly close to lifting a third FIFA World Cup, but they were beaten 1-0 by Germany. Thankfully, the Germans won’t be a problem anymore after Joachim Low’s boys crashed out of the group stages, following their 2-0 defeat to South Korea. South Korea scored twice in injury time to send Die Mannschaft home in the first round – the first goal was a result of a tense VAR decision, and the second came after a defensive clanger in the 95th minute. The last time Germany failed to progress from the first round of the World Cup was 80 years ago, at the 1938 tournament in France. A fact which makes this early exit even more of a failure than it already is for the Germans!